Local boxing club, Collyhurst and Moston Lads Club, has been awarded £1,000 from the Fourteen Programme, a legacy fund from the 2014 Commonwealth Games managed by Forever Manchester. The grant was to support work with a group of young men enrolled with the club, teaching them basic filming and editing skills to create an original piece of work based on historical research. 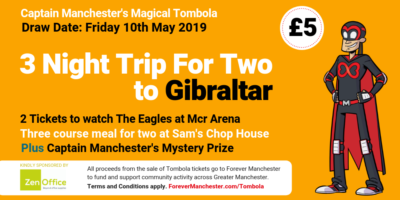 As long-term supporters of the club, staff at Forever Manchester were also excited to learn that two of the club’s rising stars Maria Edward, 13, and Niall Macintosh, also 13, will be representing Team GB and are competing for places in the European championships.